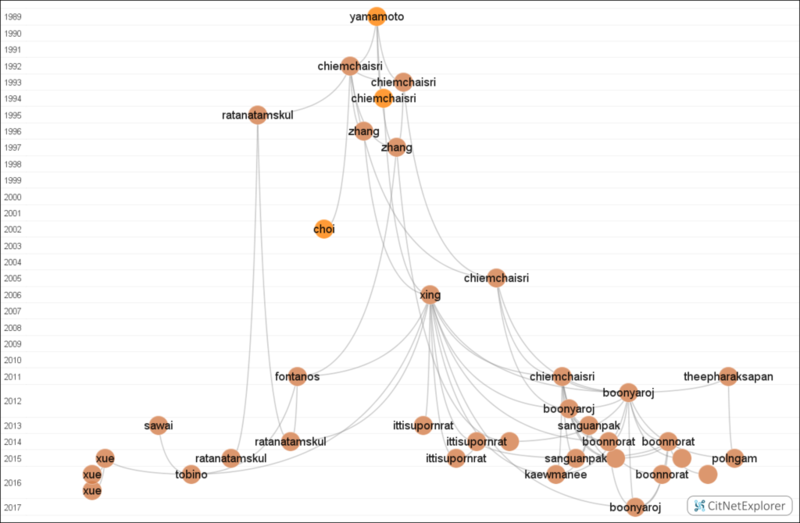 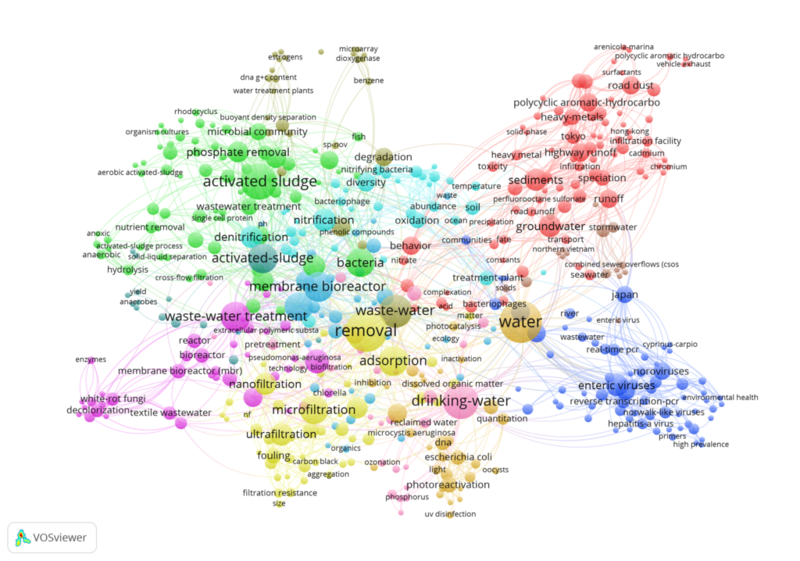 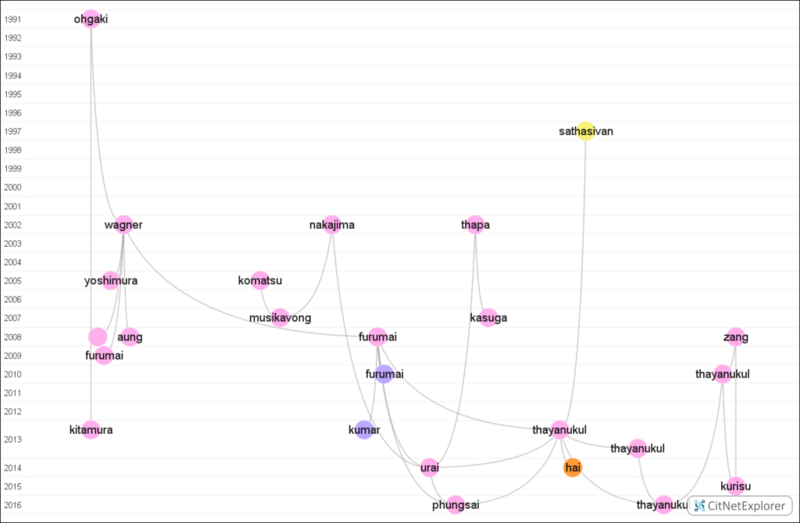 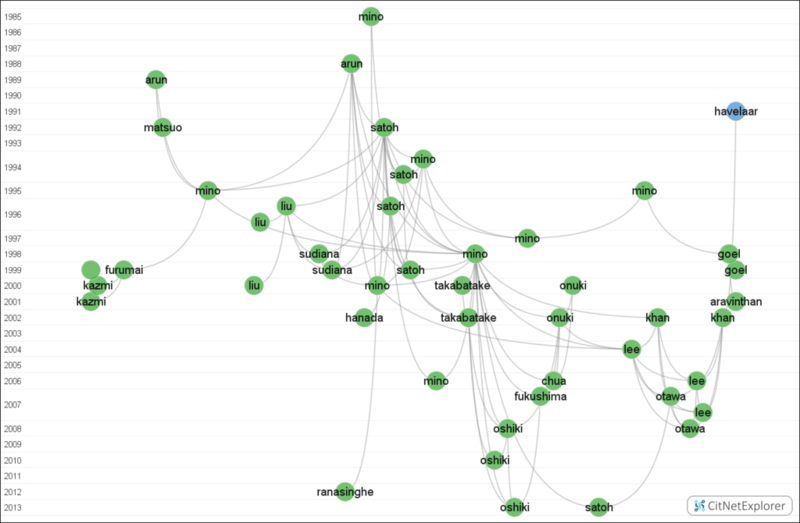 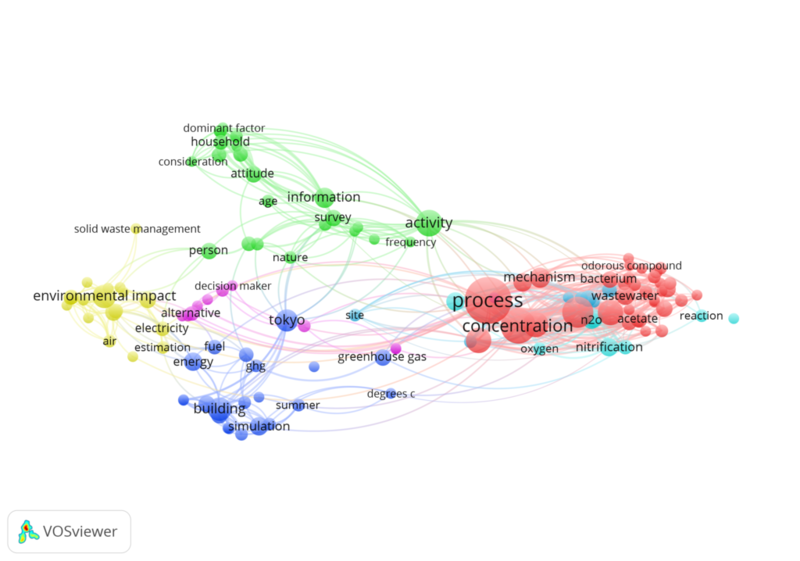 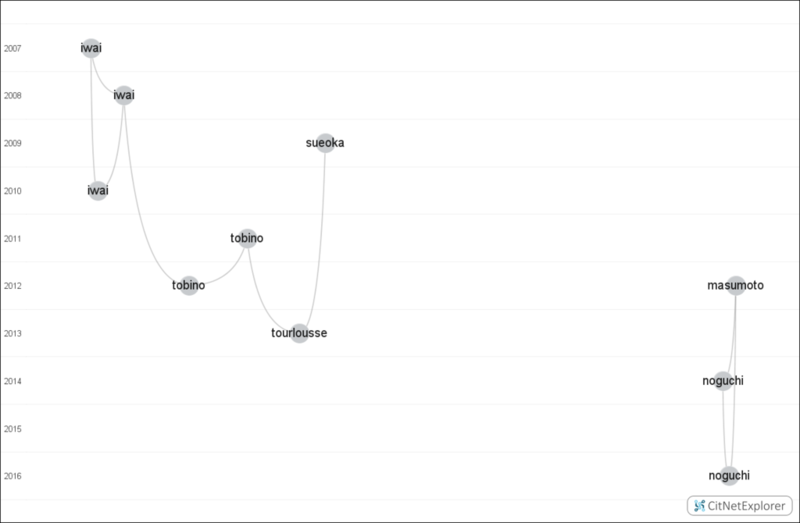 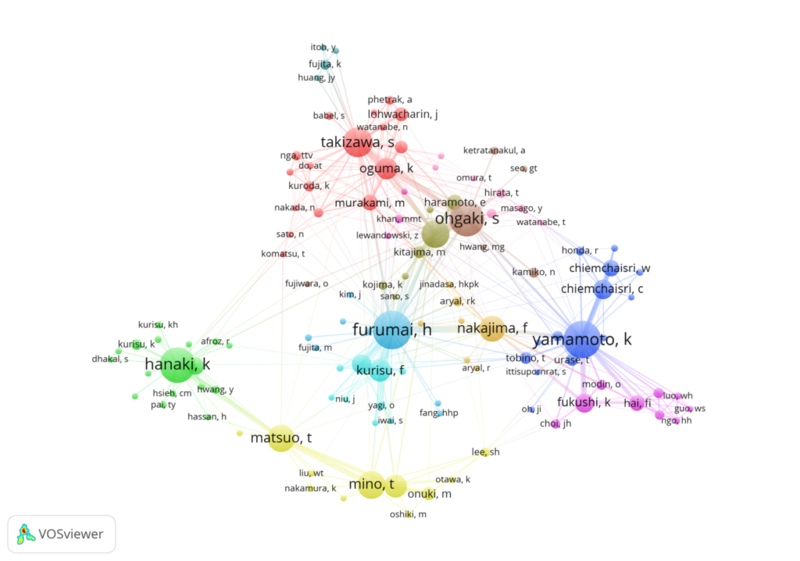 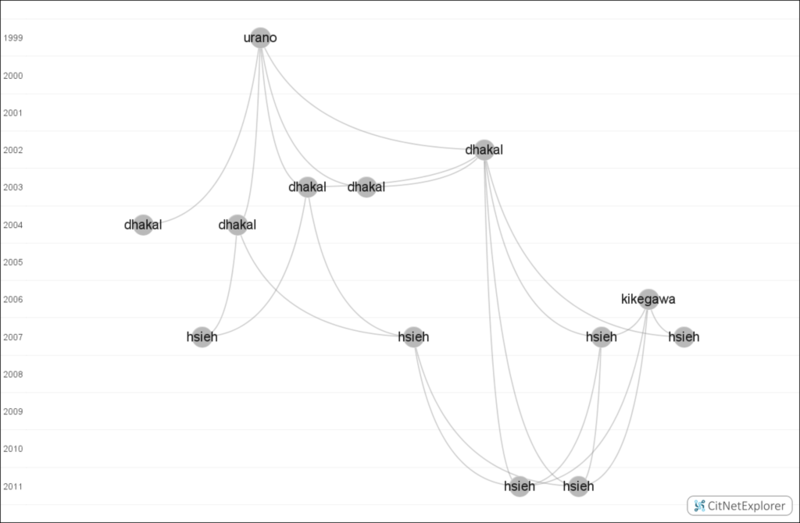 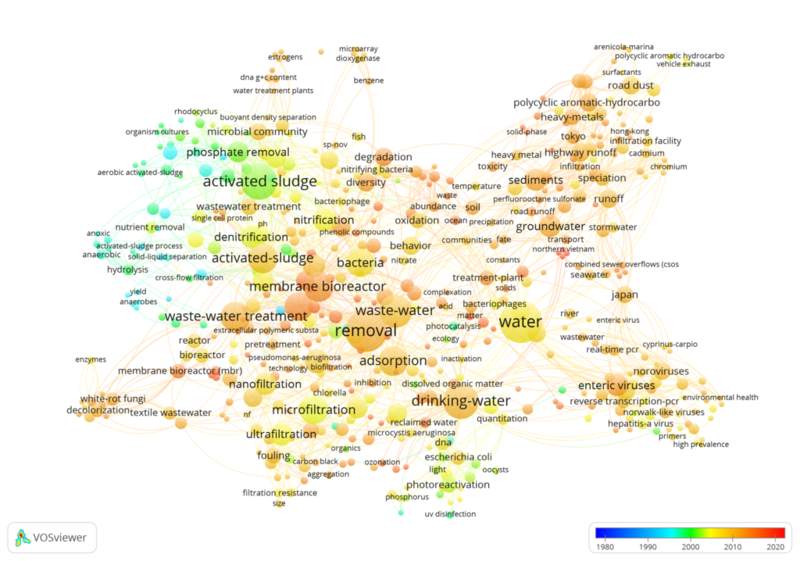 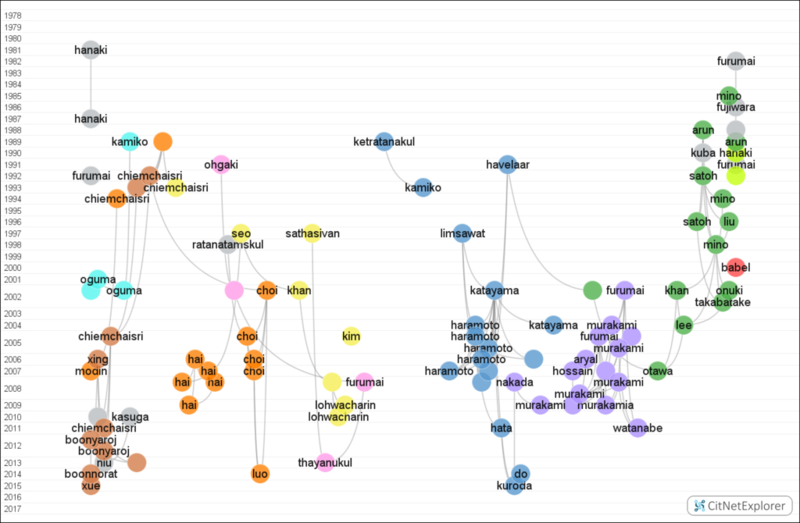 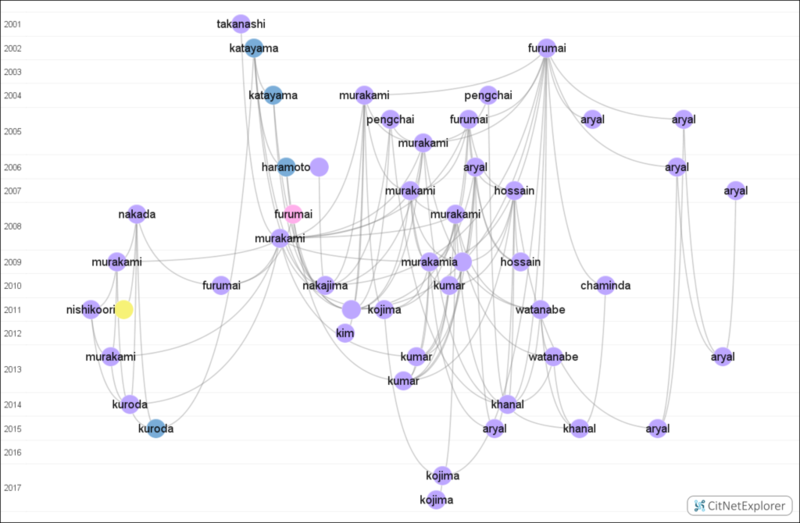 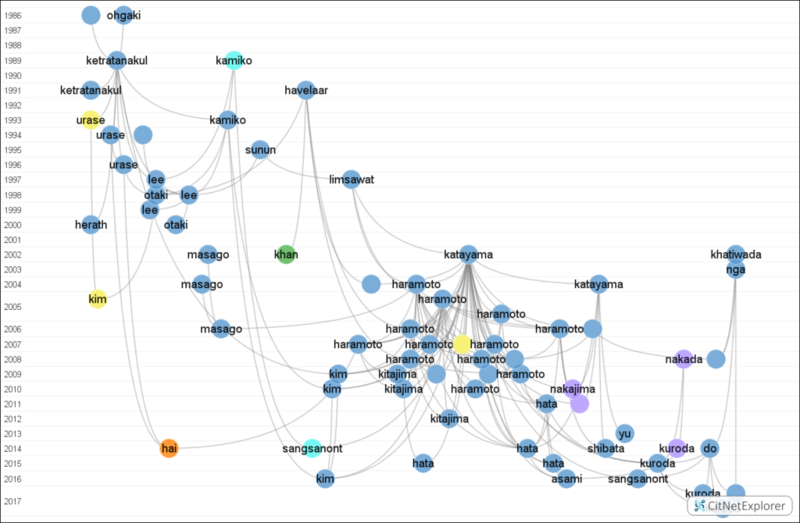 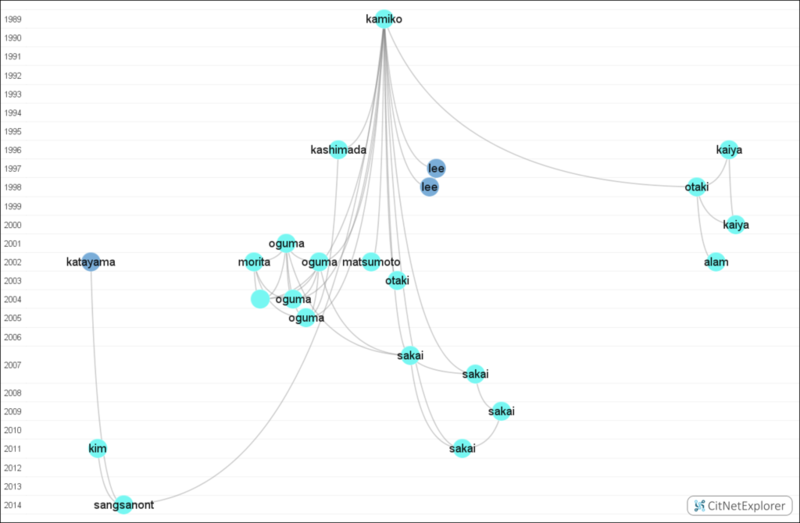 ▲Citation network in cluster 2: biological phosphorus removal in activated sludge system. 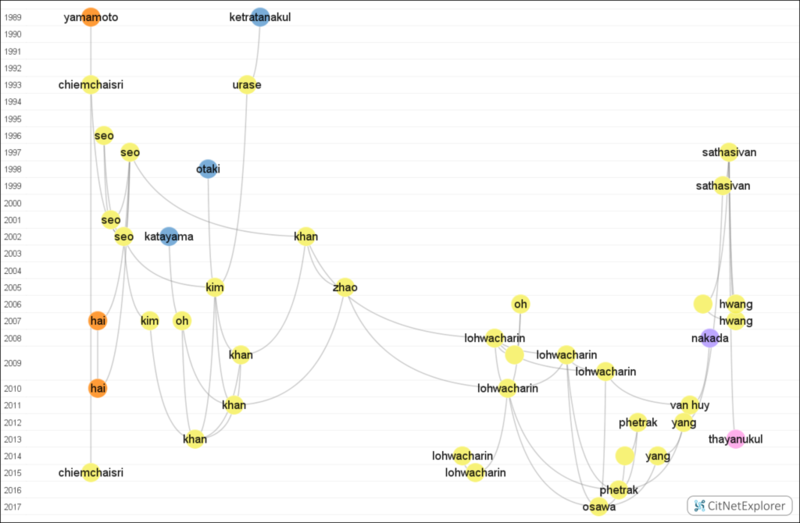 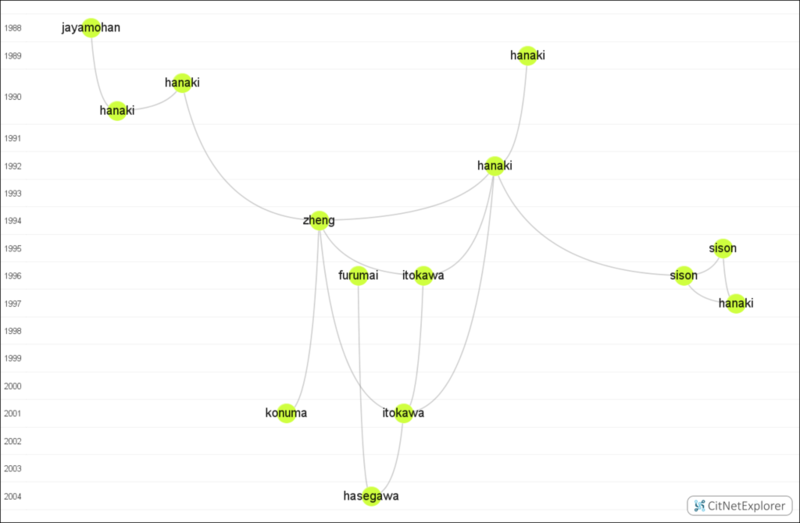 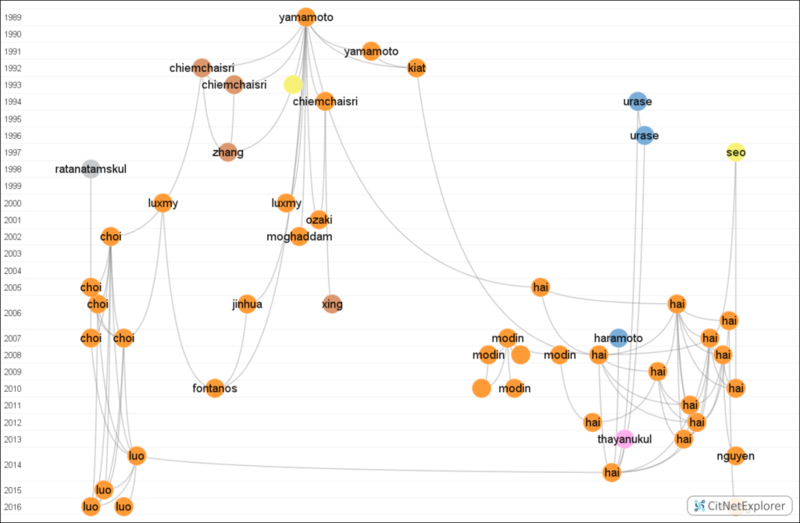 ▲Keyword co-occurence network. 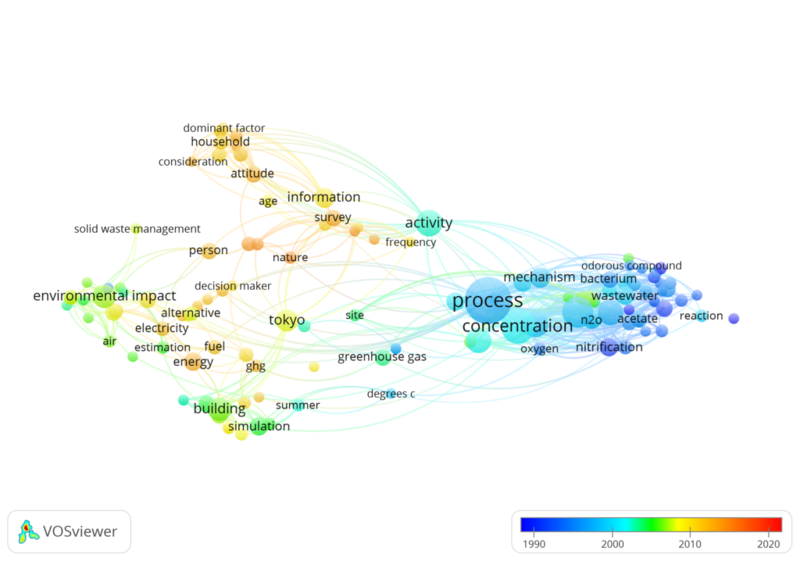 Color indicates averaged publication year.